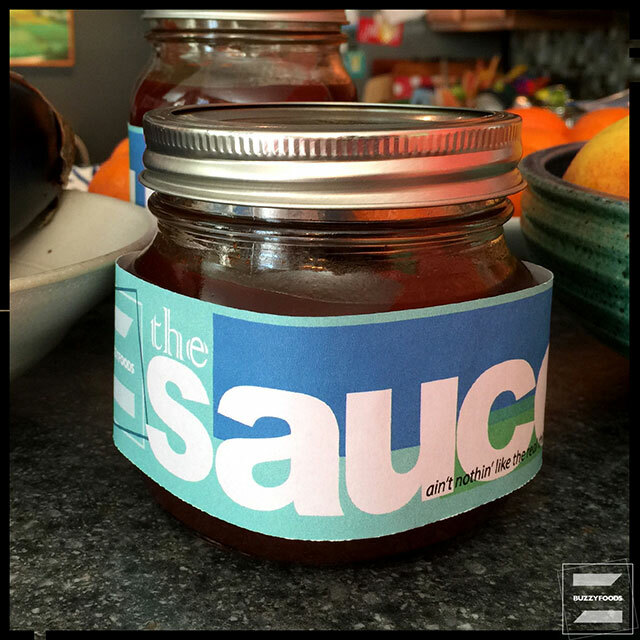 I’ve been making this barbecue sauce for a loooooong time (*cough* 40 years?!? 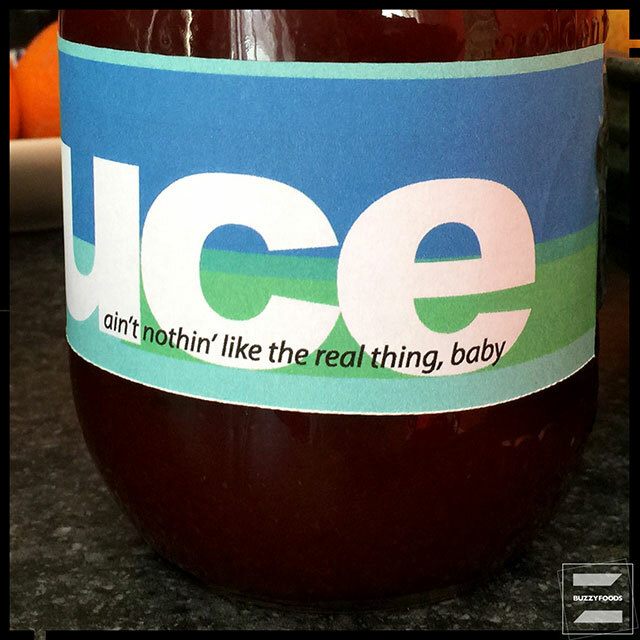 ), and it has always been a favorite at cookouts and in holiday gift baskets – I even have to slip an extra jar into the goodie bag for the very nice lady who cuts our hair because her son will snag one for himself, along with a bag of chips – so, when this year’s batch turned out really, really well, and more and more folk were asking for the recipe, and, after four decades of tweaking the darned recipe, I think that I have finally got it down; I figured it was time, again, to share. *This is important! 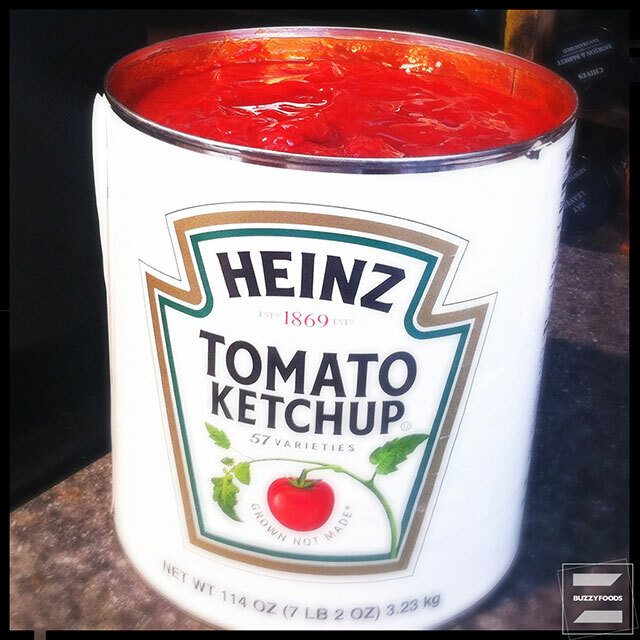 I’ve used other ketchups, even my own, but none seem to bring the flavors together the way good ole Heinz does. This large can (from Costco) is a good option, but this year it seems as though every market and store had two packs of the 64 oz bottles on special – perfect for a batch of BBQ sauce that’ll yield around eight pints of the good stuff. Combine all the ingredients together in a large slow cooker – use a whisk to really break up the brown sugar – cover, and cook on low for between six and eight hours, stirring with that whisk to continue to break stuff up every 30 minutes or so. 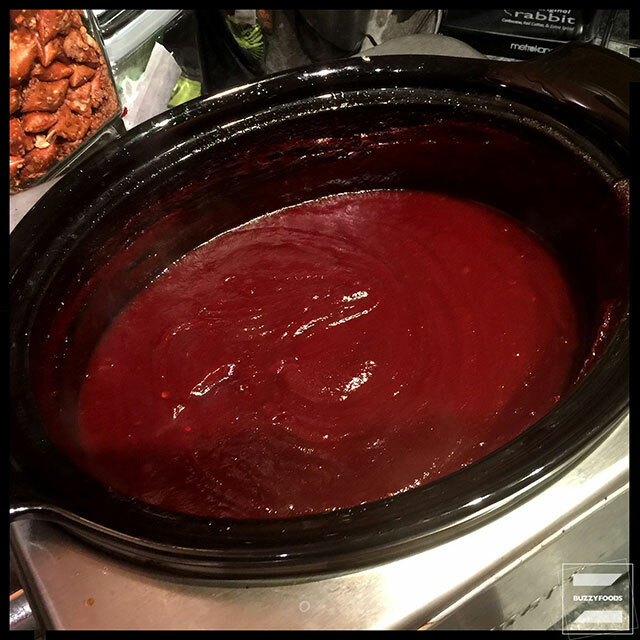 The barbecue sauce will start out bright red and ketchup-y looking with a sharp vinegar smell, and will end up this thick, lovely, deep brown-ish red and have a sweet but zippy bite. Truly, six hours will probably do you, but I like my sauce to be really thick, so I give it closer to the full eight. 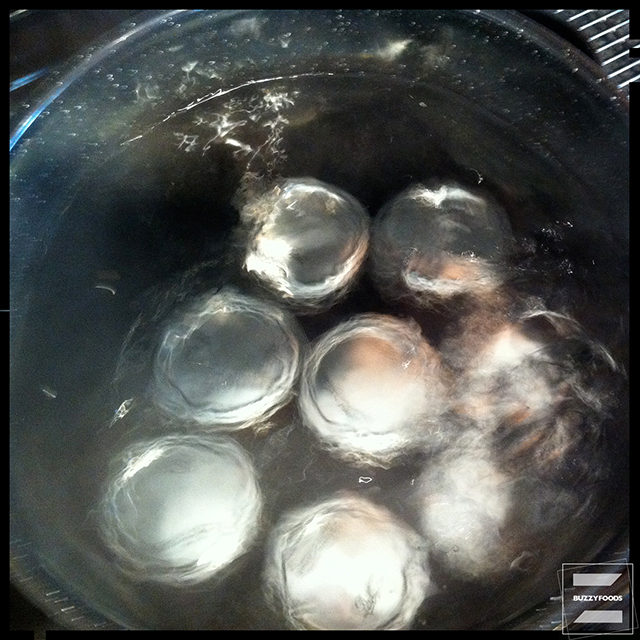 Transfer the sauce into prepared canning jars and process in a boiling water bath for 15 minutes. Allow to cool, check the lids for seal (there should be no give when you press the center of the lid) and stash in the pantry for your next cook out. Or, ermmm, bag of chips, if you lean that way. Nice sauce, and thick enough and with enough flavor to stand up to stirring in a bit of water (or, try cherry cola – YUM!) to thin it out for brushing on meat or chicken or salmon (really nice on salmon!) on the grill. 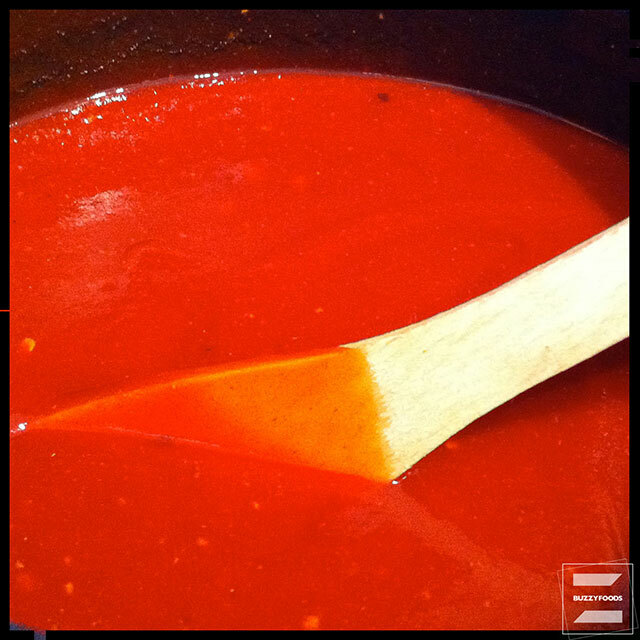 This entry was posted in Parfait!, Sauces/Jellies/Condiments and tagged BBQ Sauce, Best!, Best! BBQ Sauce, Parfait!, THE BBQ Sauce. Bookmark the permalink.